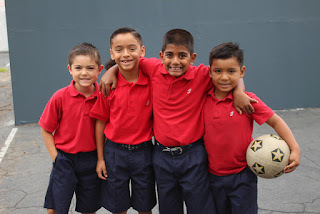 Fairmont Blog: NEWSLETTER: August 21, 2015 Welcome Back, Students! NEWSLETTER: August 21, 2015 Welcome Back, Students! Welcome back! It was an exciting summer at the Historic Anaheim Campus with construction projects, the arrival of new textbooks, summer school, and our Surf's Up summer camp! We are very excited to have all of our students back enjoying their lunches, playing on the playground, walking to and from exciting classes, and checking out books from the library. We would also like to invite you to our Parent Night on Wednesday, August 26th. Our specialty teachers will be available for a meet and greet from 6:00pm to 6:20pm in front of the Junior High building. From 6:25pm to 7:45pm all parents are invited to hear their child's teacher present in the classroom. Junior High parents will follow their child's class schedule during this time.